A simple search on Google for “the best used cars” ends up churning out results that are interesting, to say the least. While most of Google’s feedback is typical, and comprised of various vehicle segments to start, what is peculiar about these results is that the very first category of “car” is not a car at all, but rather a wagon. Pictured next to the five-letter word is a vintage Radio Flyer Wagon. In all of its wood-sided glory, we can’t help but agree with Google: Any four-year-old who is seeking out a great used car is sure to find that little red wagon more than able to accommodate their needs. For adults, on the other hand, it may be easier (and more beneficial), to head into their favorite local used car dealership. Chevrolet of Naperville is the neighborhood used car dealership that Chicago area residents trust. 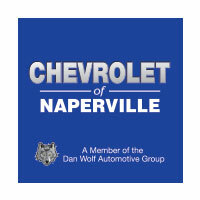 Building on the stellar reputation of the Dan Wolf Automotive Group, Chevrolet of Naperville offers a top notch customer experience, incredible pre-owned cars, trucks, and SUVs, and the best team of individuals in the business. Where other local dealerships fall short, Chevrolet of Naperville excels. Buying a used car is not to be taken lightly, and the key to a successful purchase is finding a pre-owned dealership that is reputable, trustworthy, and goes above and beyond in order to meet your needs. Chevrolet of Naperville is everything you need on your journey to a new-to-you car, and is waiting to help you discover your next pre-owned vehicle, for less. As you begin your hunt for an exceptional used car, it is easy to get overwhelmed. This is especially true if you happen to be on a tighter budget than the average shopper – but fear not! There are a ton of great used cars listed for well under the $15,000 mark, all of which provide an exceptional value for the money you do put into them. Each and every year, U.S. News & World Report ranks various cars based on what you can expect to pay for them in good pre-owned condition. With the help from our friends over at U.S. News, we put together this list of great used cars that you are likely to find for well under the $15,000 mark this year. Check them out, and see for yourself just how affordable finding a reliable and dependable car can actually be. 2009 Honda Fit: If you are in the market for an affordable compact hatchback, you will be hard pressed to find a better option than the 2009 Honda Fit. With the original MSRP of this model starting just below $15,000, it is safe to assume that buyers will have no problem finding a used version in good condition for under $10,000. With seating for up to five passengers, and a maximum fuel economy rating of 35 MPG on the highway, this fun-to-drive sporty hatchback is perfect for the budget-conscious buyer. On top of the financial savings, the 2009 Honda Fit has earned itself top ratings from industry experts, along with a slew of other accolades and awards. 2009 Honda Civic: If there is one thing that Hondas do well, it’s hold onto their value. The fact that the first two vehicles on our list come from the Japanese automotive giant, speaks volumes to this fact. Much like the 2009 Fit, the 2009 Honda Civic features enough room for five passengers, and boasts an even better fuel economy rating of 36 MPG on the highway. With up to 197 horsepower rating, the Civic is not just a compact car, it is a get-up-and-go alternative to larger, gas-chugging full-size sedans. Best of all, used car shoppers are likely to find these models used for under $10,000. 2012 Chevrolet Sonic: As a Chevy dealer at heart, here at Chevrolet of Naperville, we are proud to offer a variety of pre-owned cars, trucks, and SUVs that our buyers can choose from. On the other hand, we also beam with pride when one of our favorite brand of cars makes our best lists. 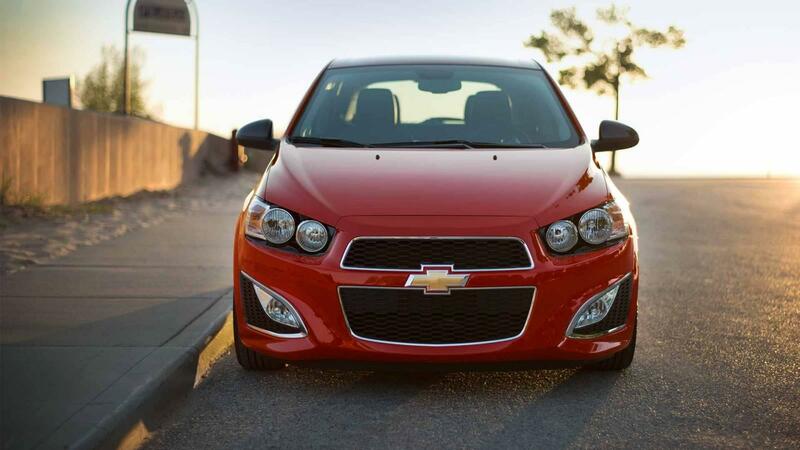 The 2012 Chevy Sonic is able to grab up 40 MPG on the highway, features a horsepower rating of up to 138, and offers comfortable seating for up to five adults. With simple controls, impressive handling, and an extremely comfortable ride, it’s no wonder why used car shoppers are seeking out this older version of Chevy’s popular hatchback in 2017. It’s new enough to have incorporated advanced tech features, but old enough to still come in under the $10,000 mark. 2010 Mazda Mazda3: The 2010 Mazda3 is an award-winning hatchback which features a sporty, fun ride, at a more than affordable pre-owned price. Boasting up to 167 horses thanks to a responsive engine, the 2010 Mazda3 grabs up to 33 MPG on the highway, and a window price of between $8,000 and $12,000. As always, this number is dependent upon condition, miles, general wear and tear, and included amenities. Even with a slight sway in the price either way up or down, the 2010 Mazda3 is a capable used car that will easily cost you less than $15,000 in today’s pre-owned car market. 2010 Scion xB: By conventional car standards, there is nothing conventional about the xB model from Scion. The 2010 version of this car, which resembles more of a crossover than anything else, has ample room for five adult passengers, sports a front-wheel drive drivetrain, and gets up to 158 horsepower. The boxy hatchback design lends itself well to a large amount of passenger and cargo space, and tends to attract buyers with small families who aren’t ready for a full-on crossover just yet. A used version of the 2010 xB will typically cost right under $10,000, making it a shoe-in for our list. Whether one of these cars appeals to you, or you have a different make and model in mind – come down and find it at Chevrolet of Naperville. Our award-winning team is eager to give you a tour of our pre-owned inventory, and work alongside you to find exactly what you want, need, and desire, all at an affordable price.